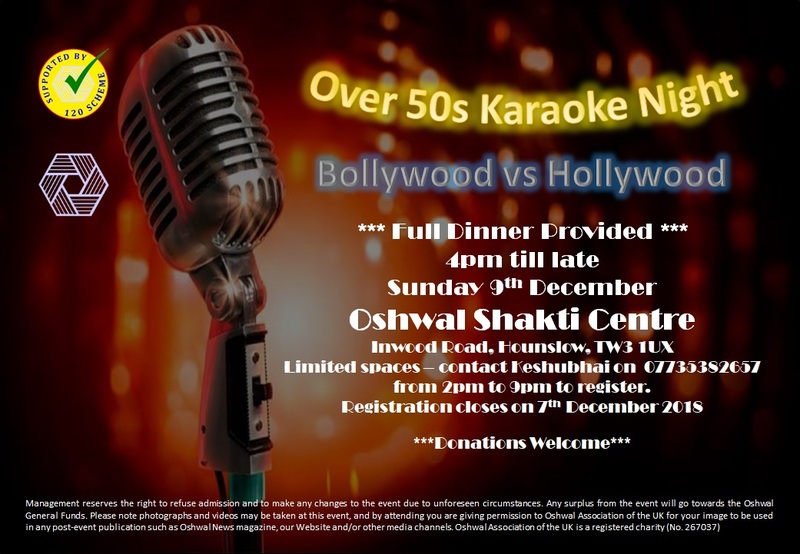 Over 50s Karaoke Night | Oshwal Association of the U.K.
General Note – Management reserves the right to refuse admission and to make any changes to the event due to unforeseen circumstances. Any surplus from the event will go towards the Oshwal General Funds. Please note photographs and videos may be taken at this event, and by attending you are giving permission to Oshwal Association of the UK for your image to be used in any post-event publication such as Oshwal News magazine, our Website and/or other media channels.